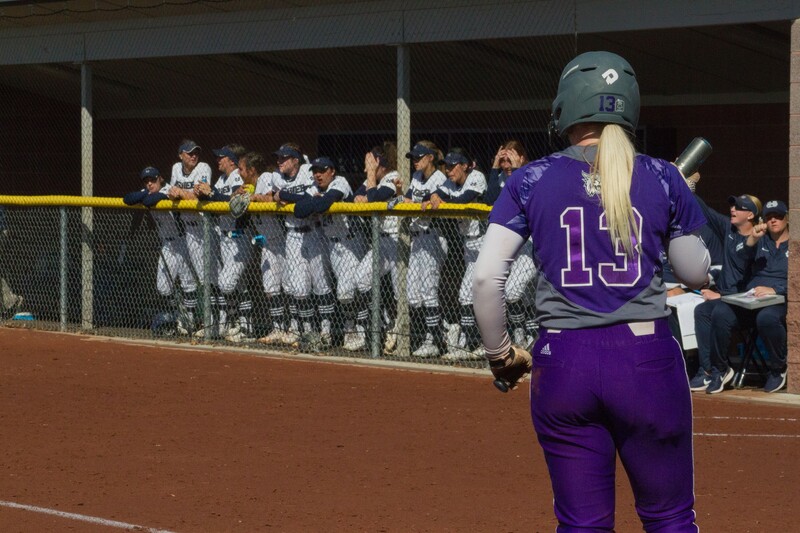 The first day of spring was not a day to rejoice for the Weber State University softball team and their fans as they lost their home opener to Utah State University. 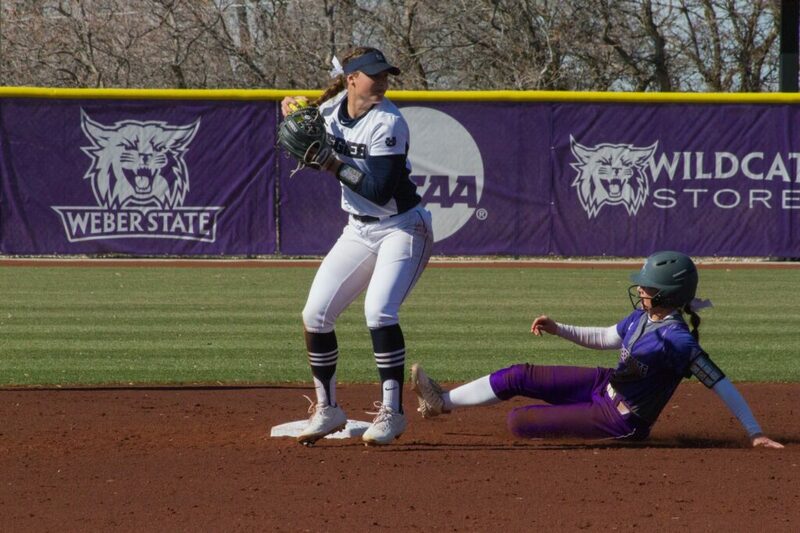 The Wildcats fell victim to a dominant pitching performance by USU’s Delaney Hull, who fired a two-hit shutout in a 9–0 Aggies win called by a mercy rule after five innings. After playing in tournaments in Arizona, California and Nevada that saw ups and downs, WSU head coach Mary Kay Amicone was ready to see if her team could show some consistency at home. Weber had inconsistent success on the road, starting the season 7–16. They were behind from the get-go against USU and never recovered. Senior right-handed pitcher Tatiana Su’esu’e started for the Wildcats and was hit early and often, surrendering five runs in her three innings of work to open up the game. She threw 56 pitches, striking out five Aggies and walking two more. 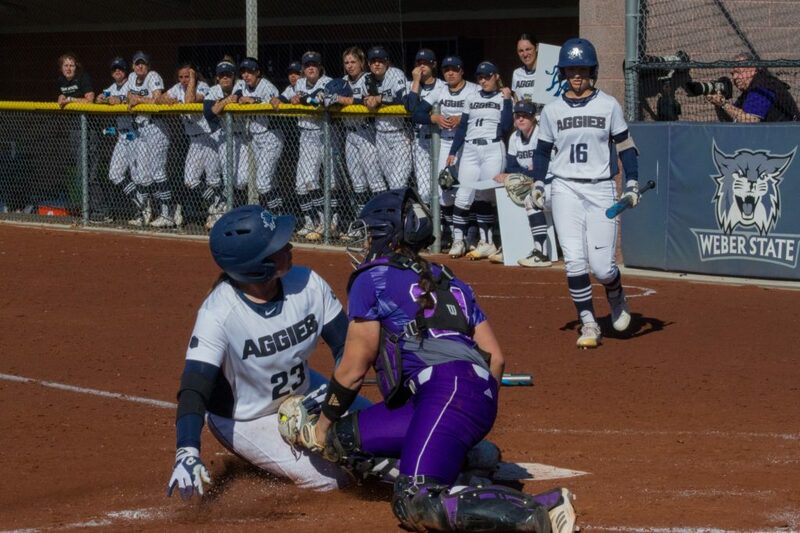 In the third inning, Utah State’s Baile Trapp sent Su’esu’e an offering over the center field fence for a home run that would add two runs to the board and put the Wildcats in a 4–0 hole. Sophomore right-hander Kate Donaldson took over in the circle in relief but fared no better. She surrendered five runs in two innings, giving a home run to Bri Lerma. Meanwhile, the ‘Cats offense was non-existent on this blustery day. Junior right fielder Takesha Saltern did lead off the bottom of the first with a single, but advanced no further than second base. After the leadoff knock by Saltern, Hull proceeded to retire 14 of the next 17 batters. Freshman McKell McCuisition singled in the fifth inning before Saltern struck out to end the contest. The Wildcats will now focus their attention on Big Sky Conference play, which began with a weekend series in Greeley, Colorado, against the Northern Colorado Bears. The ‘Cats have a Wednesday home game with the University of Utah before welcoming Sacramento State on Mar. 29 and 30. 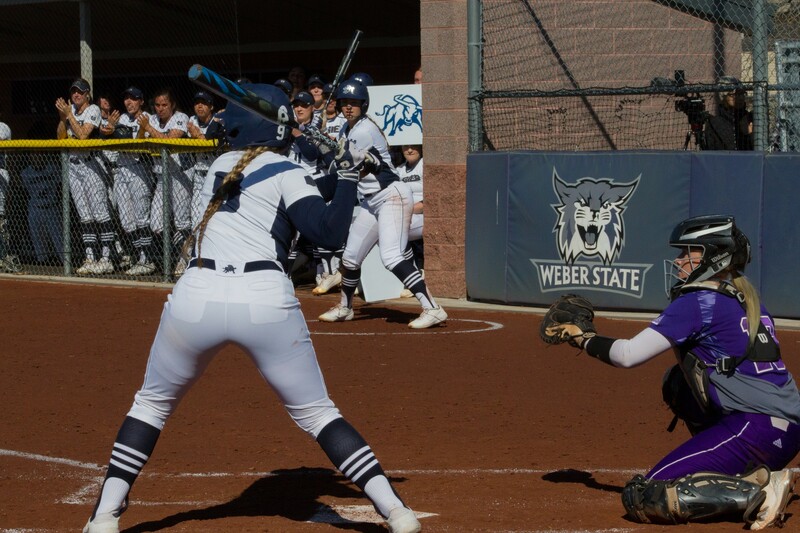 Weber State will aim for their third straight Big Sky regular-season championship this year. They fell short in the conference tournament in 2018, going two-and-out on their home field. Let me get this straight. The team wins both conference games on Friday and your HEADLINE on Monday’s paper is: ” ‘Cats Beg For Mercy In 9-0 Defeat” – which was a game last Wednesday. Are you secretly USU fans?